All our accommodations are new and are equipped to accommodate all ages and are for basic comfort levels. New Apartment style accommodations We offer rooms that are shared with 2-4 other people in two apartment style blocks. 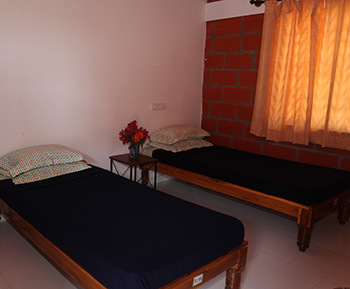 These rooms have hot and cold running water, showers and western style toilets. Upon you arrival you are provided with fresh sheets and pillow cases. Each room is equipped with a kettle and basic condiments for hot drinks. Dormitory accommodation If the apartment accommodation is unavailable we also have brand new dormitory accommodation in a new building. In the dormitory there are bunk beds, with upper and lower levels for sleeping. Each person has their own locker for their clothing and toiletries. The bathroom area is equipped with many hot shower stalls, western style toilets, sinks and mirrors. Laundry service is not provided. There are drying racks for hanging washed clothing.